Defending against human ingenuity demands a new way of thinking. With countless dollars spent and infinite alerts you still don’t have a true picture of what is going on. 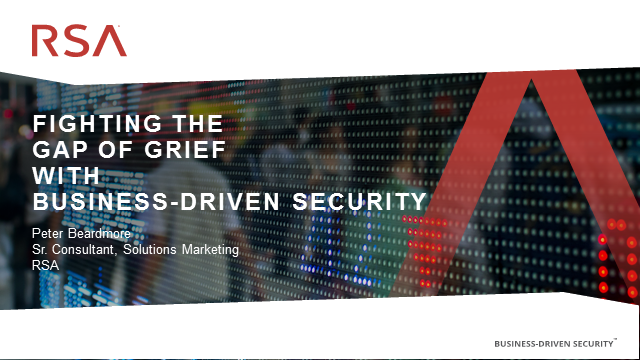 So when a breach happens, can you answer THE question: “How bad is it?” The inability to do so is what RSA calls the “gap of grief.” To answer, you must connect your security strategy and business risks. - Find out what it takes to link your security strategy with your business priorities.